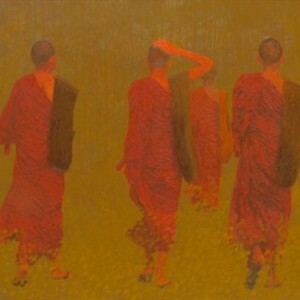 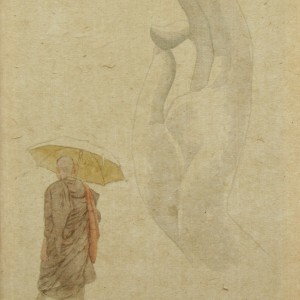 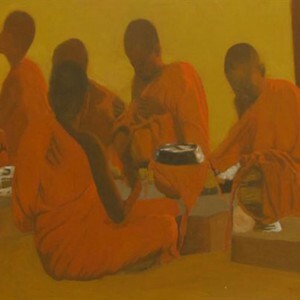 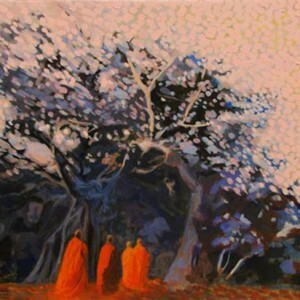 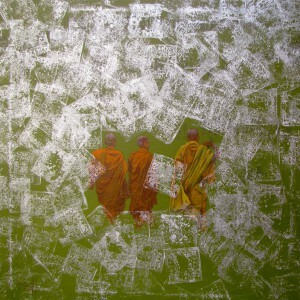 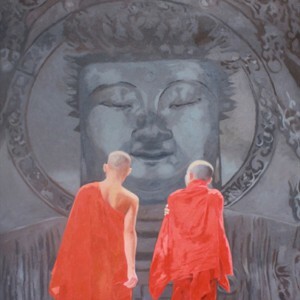 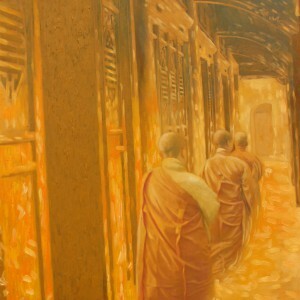 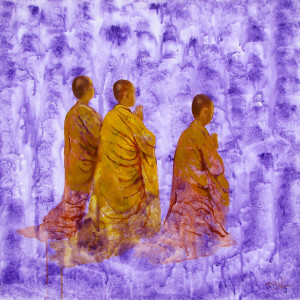 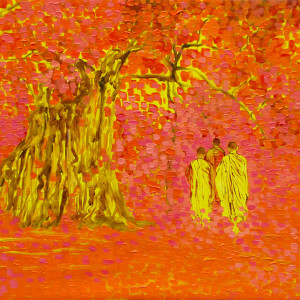 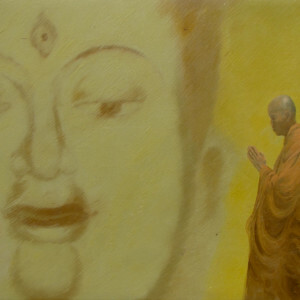 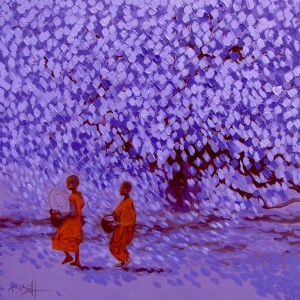 Asian artist Vu Thai Binh creates beautiful canvasses on Buddhist themes. 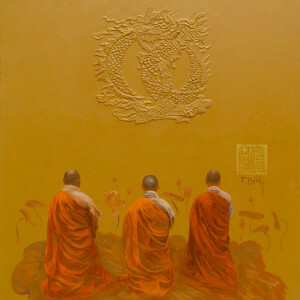 This composition by him that depicts three monks praying exudes a sense of calm and serenity. 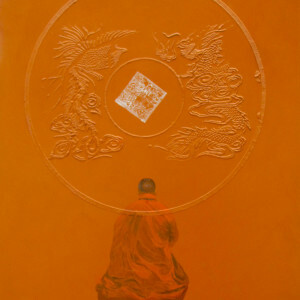 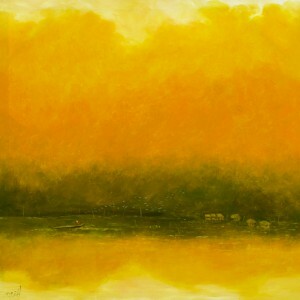 The color palette of orange and yellow is apt for the theme of renunciation. 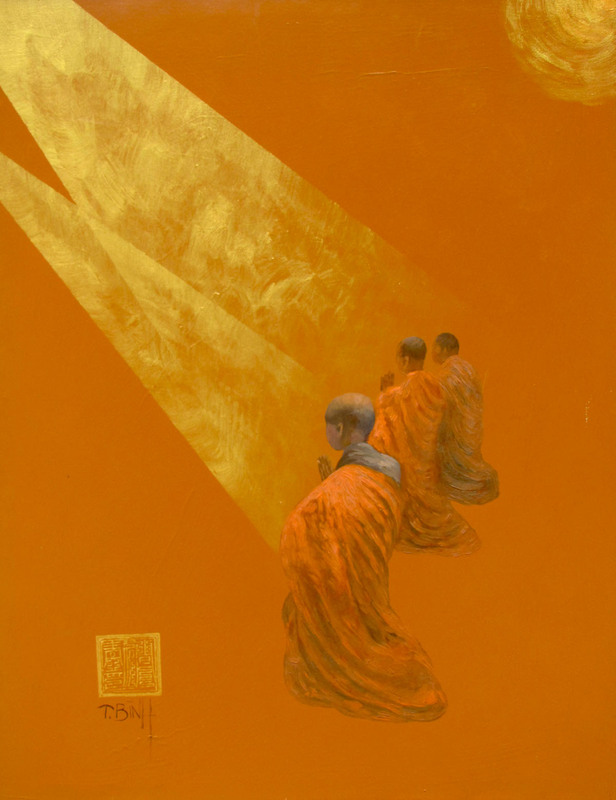 The shafts of light are symbolic of the Illumination of the monks surrendering themselves to attain the highest Truth.